High-quality preparation containing the strongest known natural and legal substance with anabolic properties, that is creatine monohydrate, in the classical form of high quality. 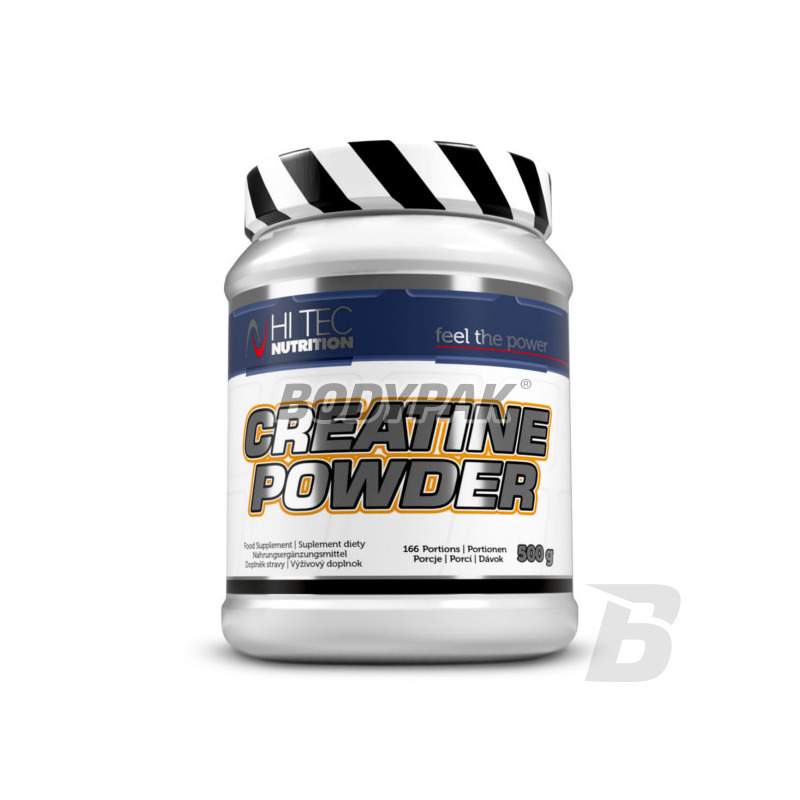 Creatine Powder - is a preparation that contains the strongest known natural and legal substance with anabolic properties, that is creatine monohydrate, in the classical form of high quality. Creatine has recently become the most popular material assist in bodybuilding and many other sports. Creatine monohydrate is an orally administered precursor of creatine phosphate (CP) or adezynotrójfosforanu (ATP), which is the immediate source of energy for muscle contraction short (decrease in the ATP level is, for example. Causes loss of speed sprinter after running 60 m). A few years ago it was thought that this component has only an indirect effect on muscle mass, acting on the strength gain and shortening the recovery period, thus allowing more frequent and more intense training. The results of numerous tests show, however, that creatine also has an anabolic and anti-catabolic - improves nitrogen balance and delaying the reduction of protein during intensive training. Furthermore, due to the fact that the body is capable of storing large amounts of creatine, the muscle levels may increase as a result of supplementation up to 50%. Completely destroys the correct ratio between liquid and solid phase components in the muscle cells. To restore the former proportions body stores in muscle is also a greater amount of water, which causes a feeling of inflation and an increase in their volume. Creatine is an important source of energy during intense muscle spasms. Sufficient supply of the body in this component is very important especially for representatives of the sports in which the decisive role played by the strength and dynamics. The organism consumes large amounts of ATP during efforts speed-strength and strength associated with short-term contractions of muscle cells. Deliberate increase of reserves of creatine in muscle tissue allows the intensification of such efforts. This is critical especially for professional athletes (eg. Builders, representatives of the disciplines of strength, throwers, sprinters etc.). Creatine provides the energy needed for muscle protein synthesis from amino acids. Supplementation is indicated primarily in the anabolic phase of metabolism. Creatine power should then be used in combination with a suitable amino acid or protein concentrate. 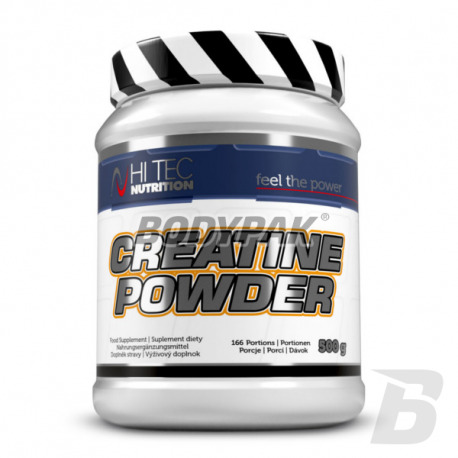 Ingredients: creatine monohydrate powder (99.9%), vitamin B6 (pyridoxine hydrochloride), vitamin B12 (cyanocobalamin).